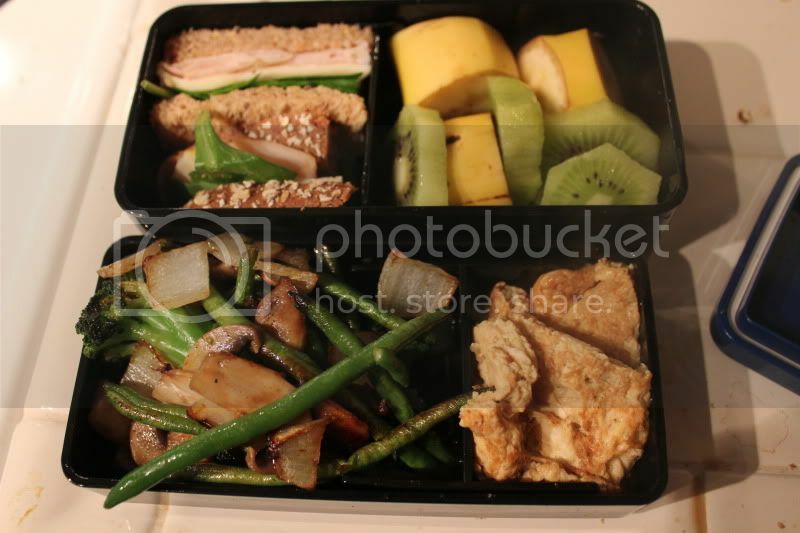 One interesting idea I've tried recently are bento box lunches. I bought myself a bento lunch box and started researching recipes and such. I found a great website, JustBento, that answered pretty much all of my questions. What's interesting for bento lunches is that they are supposed to be made fresh in the morning and then cool down by lunch. I did in fact make the stir-fry and egg that morning and it was cold but not unappetizing by the time I ate it. If I am awake enough to do a little extra work in the morning then bento boxes are a great way to mix up my lunch some days of the week. The only real complaint I have is that bento boxes are so small I was ready for a second lunch before the work day was up. I know that larger bento boxes exist (usually advertised for American men) but I really do love the cute little one I have.